Give Earn to Die a test drive today, and see why the hit online game that enjoyed OVER 150 MILLION PLAYS is bigger and better than ever on iPhone, iPod touch and iPad. 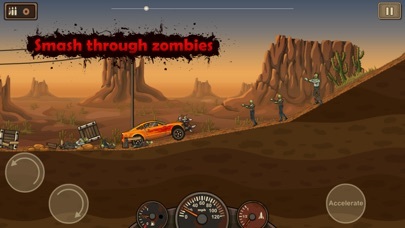 You're stranded in a desert surrounded by zombies. 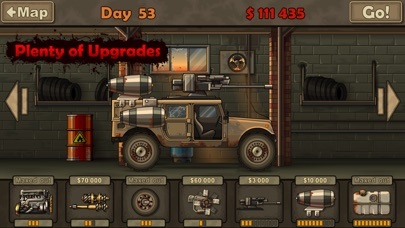 With only a run-down car and a small amount of cash at your disposal, your mission soon becomes clear – to drive ...More	through hordes of zombies in order to escape... alive! Earn to Die Lite lets you play through the first level of the Story Mode for free. 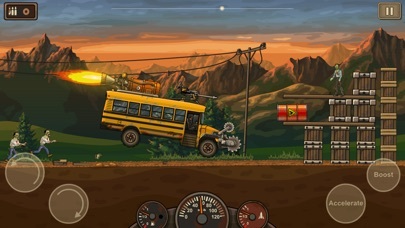 ● Get access to all 8 VEHICLES , including a race-car, a truck and even a school bus! So think you’ve got what it takes to survive the Zombie Apocalypse? Download and try your luck today. 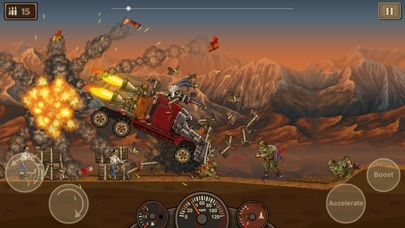 Note: Some aspects shown in the screenshots may only be available on the full version of the game. Battle alongside friends and unleash over-the-top special attacks! A new style of real-time RPG! Awesome real-time play that will keep you on the edge of your seat! Team up with other players to unleash "Unison Attacks" that can call forth massive creatures to pulverize foes! 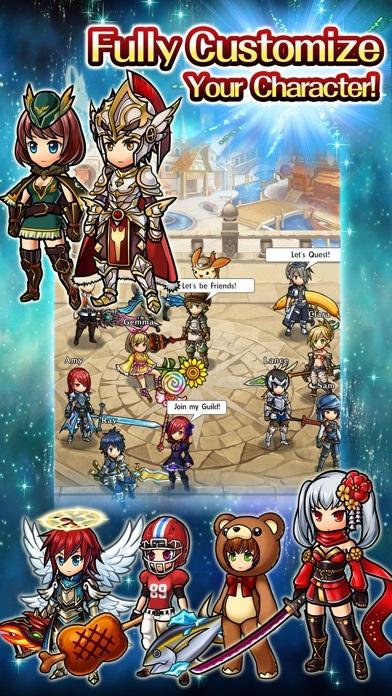 Epic guild battles that ...More	allow for two teams of up to 10 players each to duke it out in real time! 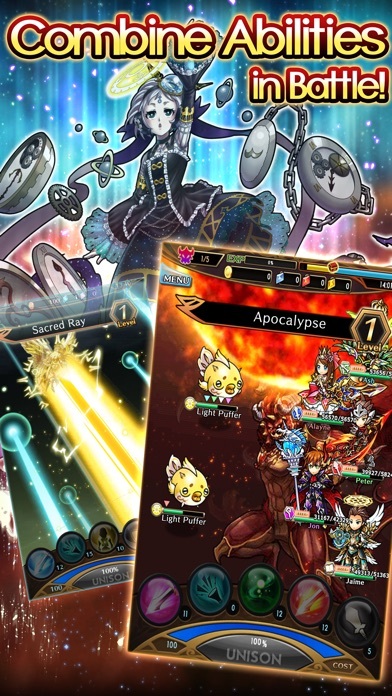 Work together and form the strongest tactics to destroy your enemies' Crystal and reign victorious! Fuse Unison Summons with your guildies to unleash Unison Attacks that can call forth powerful entities to eliminate enemies! Mesmerizing attack scenes that will take your breath away! ▼Quest with Friends in Real Time! Brave the various terrains of Granvia with up to 5 friends at a time! 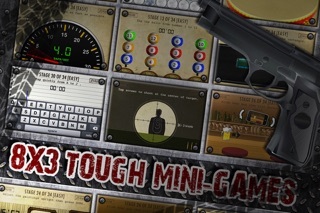 Collaborate tactically or opt for all-out brute force to take down the monsters you encounter along the way! ▼Communication with Others Is a Snap! Chill out in the Lobby! Easy-to-use mid-battle chat for timely commands and adorable character animations for comical in-game lobby conversations! Battle or "Spawn" for weapons, armor and monsters! Carefully select Gear with the best affinity to your Class to yield the greatest results! Obtain special materials to evolve your Gear so that they realize their true potential! Earn "Proficiency" to learn new Abilities and harness even greater might! *We are unable to support and compensate for use on devices outside of the supported range. 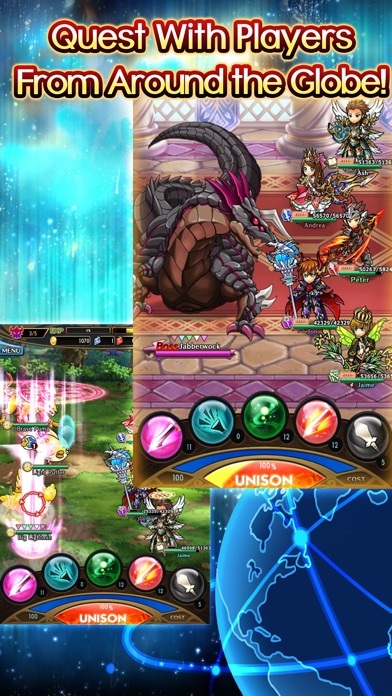 *A Wi-Fi connection is recommended for the optimal Unison League experience. *Under certain conditions, the game may fail to run smoothly. If you experience choppy gameplay, force-closing the app, rebooting your device, and clearing your cache may improve performance. 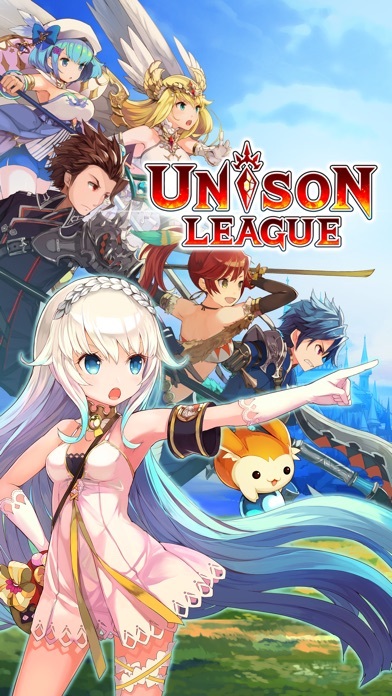 *Before playing Unison League please read the End User License Agreement, which can be accessed from the in-game menu. Ranked #1 (Overall) in US, UK, Canada, Germany, Australia, ... Definitely a game you don't want to miss out! 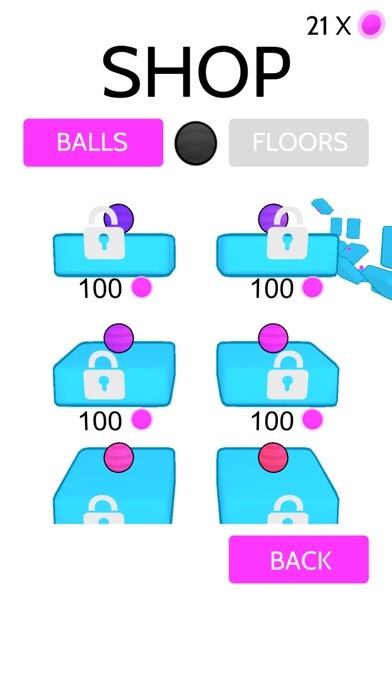 From the developers that brought you the world #1 ranking games "Stupidness 2" & "0.03 seconds", you won't want to miss its sequel 'Hardest Game Ever - 0.02s' (0.02s in short)! 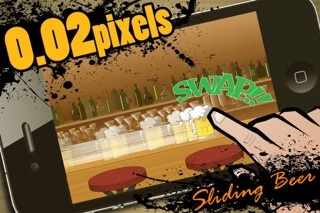 0.02s is a series of fun and exciting mini-game that measures your reaction time to the milliseconds and pixels! See how accurate ...More	you can shoot at the center of target in pixels and how sharp is your reaction to catch the eggs before they touch the floor in milliseconds! 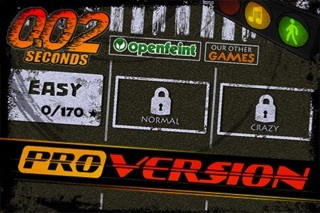 0.02s promises to bring you hours of adrenaline drain! Complete against the world for highest possible speed and reaction! Challenge your family and friends and find out who's got the fastest reaction on iPhone/iPod/iPad! - Includes OpenFeint so that you can compare your scores with your pals! - Earn additional 10 bonus levels when you get 5 stars for all stages! 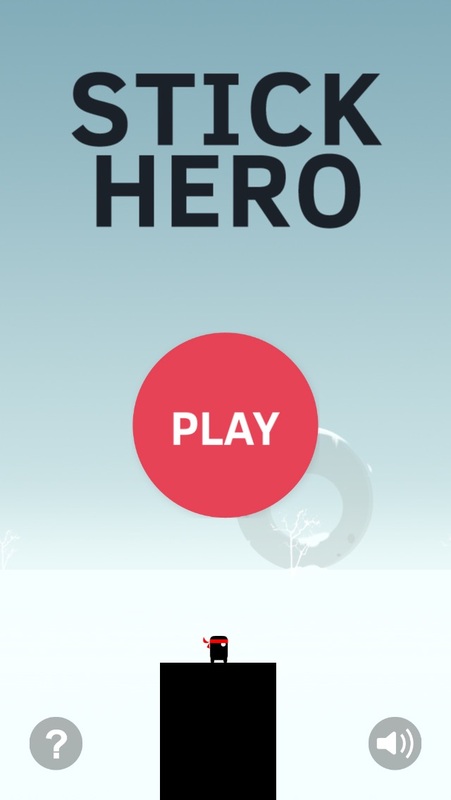 - Simple yet addictive gameplay! 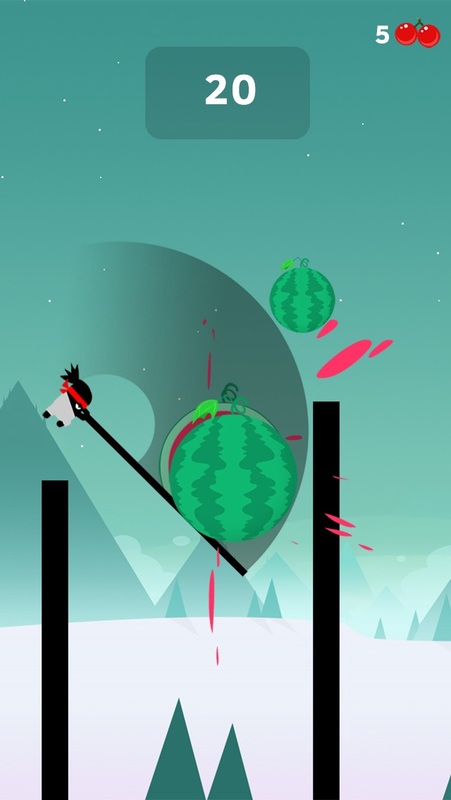 "This game is very fun and very addictive, i Just had to play every level right then. I would definitely recommend this game! Its also a great test game and sometimes very tricky." "If you don't have this yet then pick it up. After you master it you will laugh at your friends as they struggle with it." "I like competitive apps like this one. Seeing how good you are and watching yourself improve is a good pass time." "Played with my little nephew. Always love to find games we can play competitively and lots of fun." 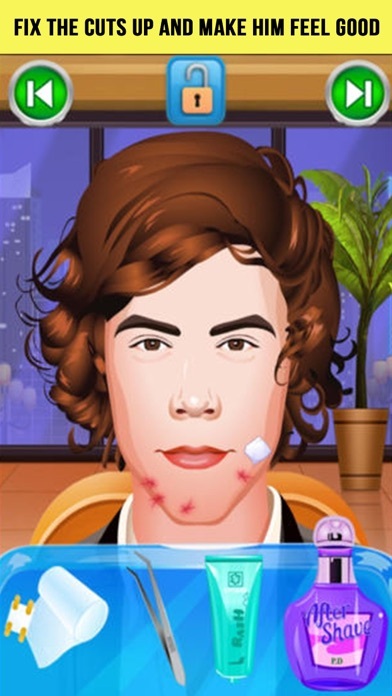 "I love this game have it on my iPhone and now the iPad. I get stuck on some levels and just have my friends beat them. Turns into a group competition. LOVE IT ! !" "Amazing it's so addictive and clever! Just finished and gonna reset best game ever and sooo clever !!!!!! 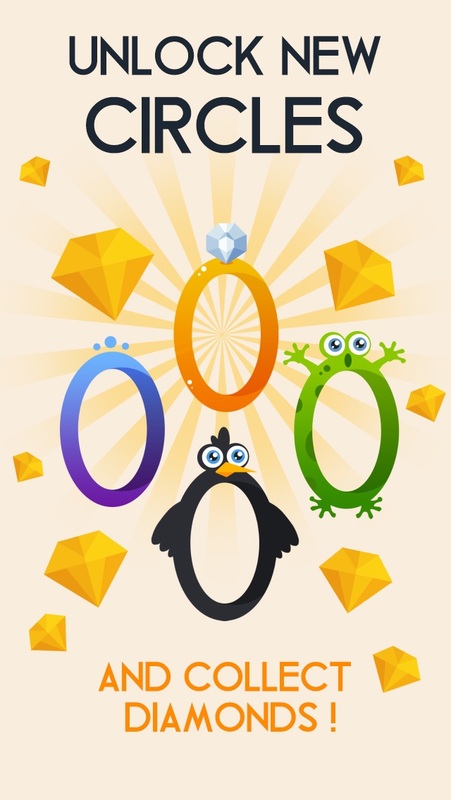 Great little game <3"
0.03 Seconds is ranked top 5 in more than 30 countries! You won't want to miss out it's sequel, 0.02s! Download 0.02s now! This app is an updated version of Gone in 0.02s with a change in app name and icon. 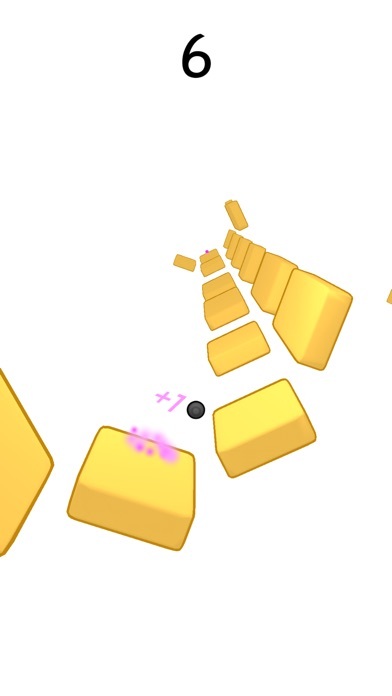 WARNING: This game contains some simple mini-games that looks way too easy till you try them! Not for the faint hearted! Fashion stunning looks, dressup glamorous models and become the stylist to the stars in the first 3D FASHION GAME on iOS! - DECORATE your look with apparel, accessories, cosmetics and even pets! A world of glamour awaits - are you ready? 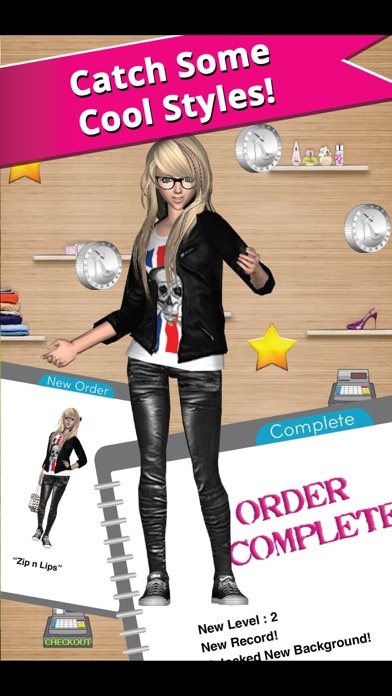 Does Style Me Girl use in-game payments? It's free to play Style Me Girl, and there is the option of purchasing extra in game cash. ps - we love YOU! 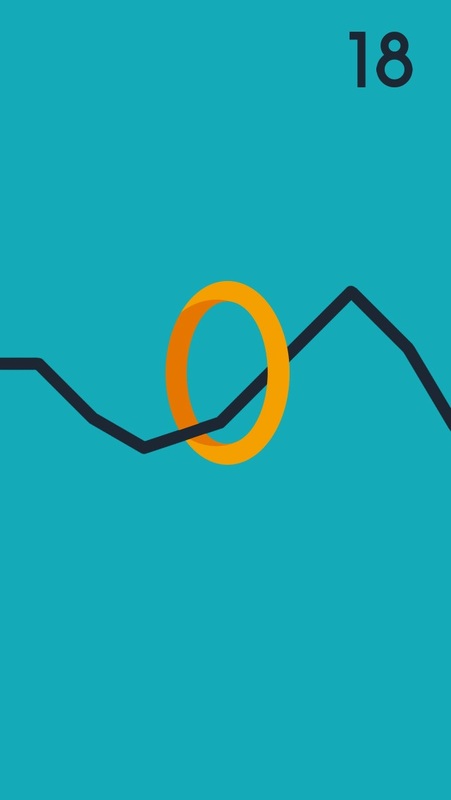 Make the circle jump and avoid hitting the line! 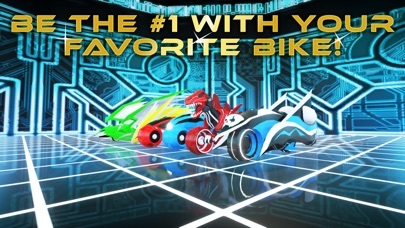 As a sequel of earlier worldwide mega hit, LightBike2 has finally come back with juiced up updates. 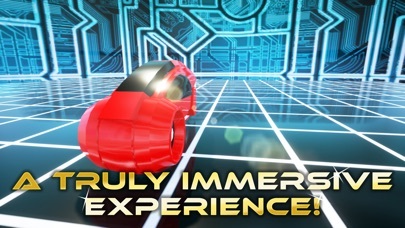 Drive through the cyber space as fast as the light, and have dead heat battles with opponents all over the world! * With simple operations, anyone can have control over LightBike. 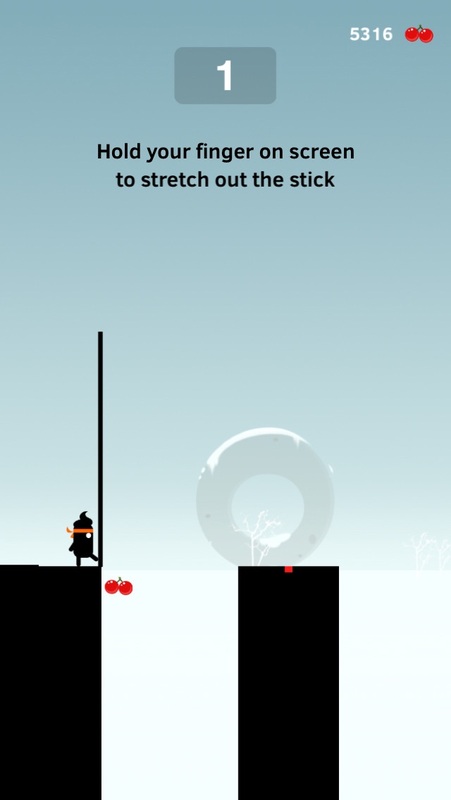 * Newly "Jump" added to its action makes the game much more strategic! * In addition of normal stages,a 3D stage has been added. * A new ...More	game mode "Death match mode" has been added. * Possible to play realtime match games with players worldwide over the Internet. * Possible to play via Bluetooth with your friends. * You can play with up to 4 players via Bluetooth. * By the results of your online matches, your grade will defer with the new Grading System, and it's possible to match up with user in the same grade. * The lastet game library for iPhone, Pankia is included with Leader board and Online game match functions! 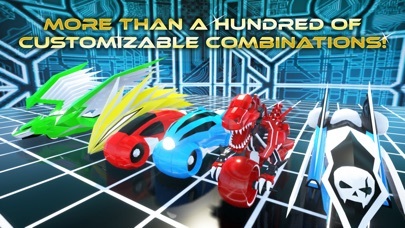 Pankia is a library for multi-play iPhone games based on technology extracted from LightBike. * A social net working function which you can follow your friends and favorite players is included! Realtime communication through the Internet is possible! Since using P2P connection between iPhone, it can support high realtime race processing games. * You can invite your followers to match games through push notification. 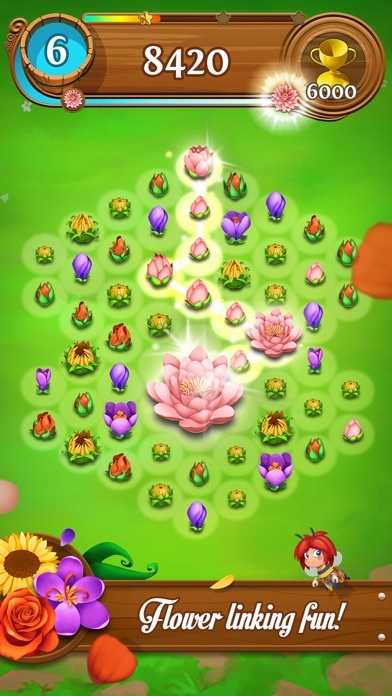 From the makers of Candy Crush Saga & Farm Heroes Saga comes Blossom Blast Saga, a free-to-download linker game! 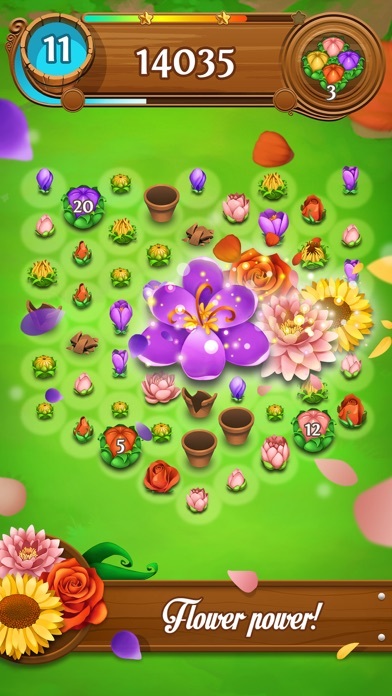 Match and link your way through tons of flower-filled gardens to make colorful buds blossom into beautiful flowers before you run out of moves! Link 3 or more flowers of the same type to make them grow and watch as you set off an exciting chain-reaction of blooming flowers! Blast through a huge selection of matching puzzle games ...More	but watch out for weeds! Connect Flowers and Make Them Pop! 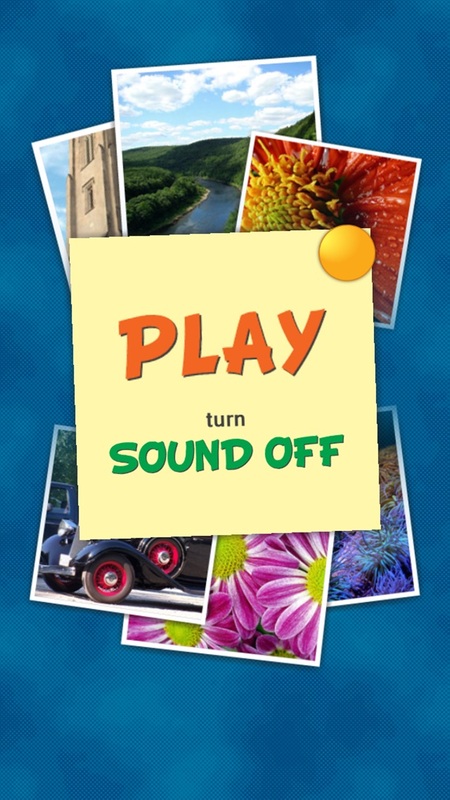 • Blossom Blast is simple to learn, fun to play but challenging to master! • Keep an eye on your friends and competitors when you connect to online leaderboards! 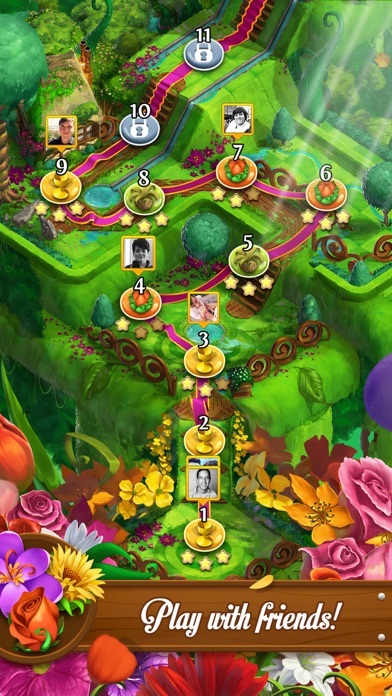 Match your way through delightful gardens, link together sequences of beautiful flowers, enjoy challenging puzzle games and connect with friends to share your flower matching experience in Blossom Blast Saga! 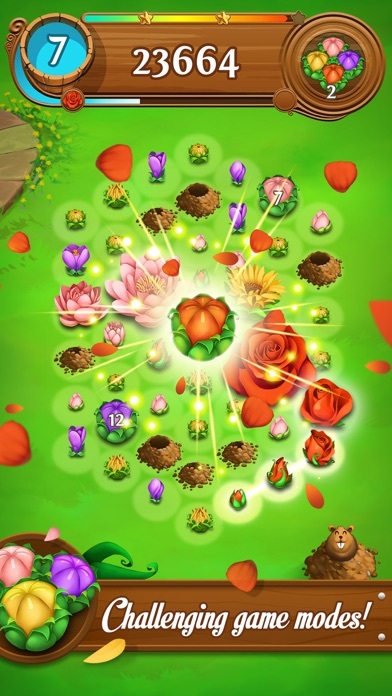 Download Blossom Blast Saga for free and watch flowers bloom on your screen! Blossom Blast Saga is completely free to play but some optional in-game items will require payment. Last but not least, a big THANK YOU goes out to everyone who has played Blossom Blast Saga! Now you can play the best fishing game on mobile for FREE! Grab your rod and make the biggest catch! 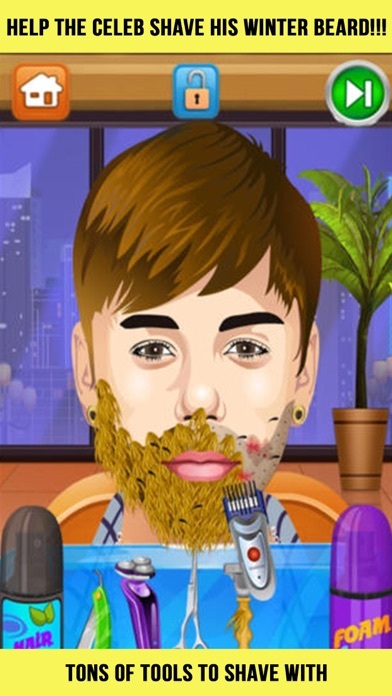 Download the game and start playing for free. As you play you will earn cash and XP, which can be used to unlock tons of extra items and new locations. Or purchase packs of cash from the shop to unlock them faster. It’s up to you! 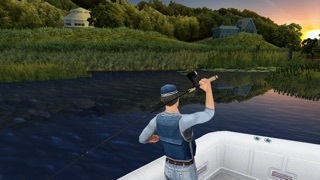 Visit 5 beautiful 3D-rendered locations from around the world, including saltwater fishing in the Bahamas or exotic places like the Amazon River and the Waikato River in New Zealand, each with 3 different fishing spots. From bass and piranhas to golden dorados and marlins, catch a wide variety of fish in every location you visit. You can even learn more about each species thanks to in the in-game fishing diary. - GET CLOSER TO THE STRUGGLE THAN EVER! 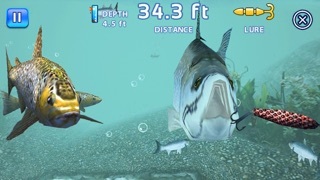 The underwater camera is a unique feature on the iPhone/iPod touch that puts you in the heart of the action as you struggle to reel in the big one! You can also just have a look at the dozens of fish swimming around you. Unlock achievements in your Gameloft LIVE! 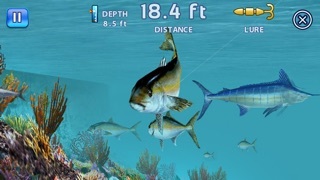 profile, show off your best scores on the dedicated website and vie for the title of Best Fisherman. 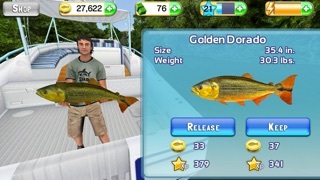 Whether you’re an experienced fisherman or a fish out of water, the gameplay aims at providing you the most realistic fishing sensations, thanks to a wide range of available moves and actions, from casting your line to hooking and struggling with fish. Catching a trophy marlin is more than luck! Access a wide range of fishing gear and use the right tools to catch the species you want. 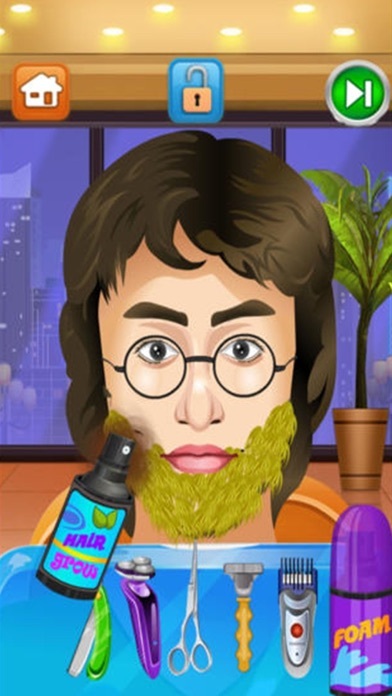 This app allows you to purchase virtual items within the app and may contain third party advertisements that may redirect you to a third party site. 1.5 billion YouTube views later, Dude Perfect is back with the most epic trick shot challenge yet! 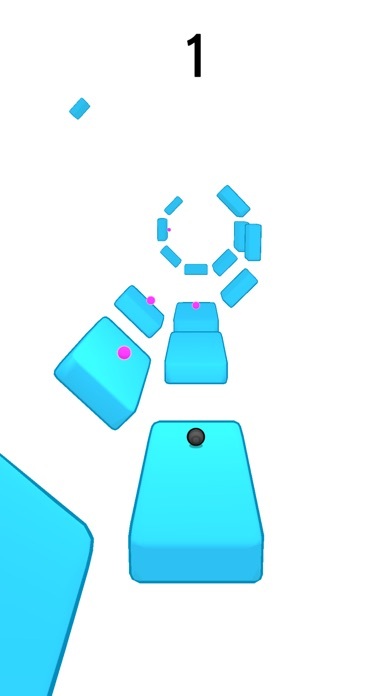 Go BIGGER than ever hitting mind-blowing trick shots through tons of crazy levels! Jump on trampolines, float on parachutes, break glass, and even blow stuff up! 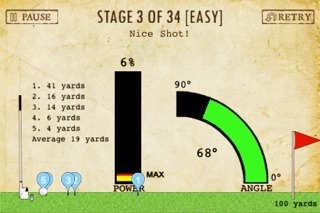 Stunning artwork, animation, and sounds bring your trick shots to life! Experience life as a Dude! 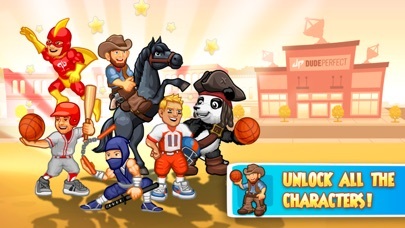 Play as Tyler, Cody, Garrett, Cory, Coby, and the greatest mascot of all time, Panda! Prove your trick shot skills against your friends and family all over the world! 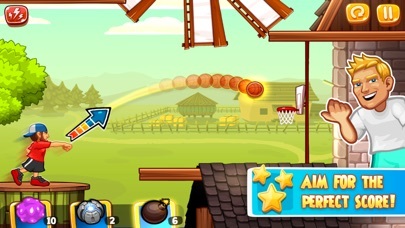 Watch the newest Dude Perfect videos right inside the game! Customize your gameplay with sick power­ups, new characters, and crazy costumes! 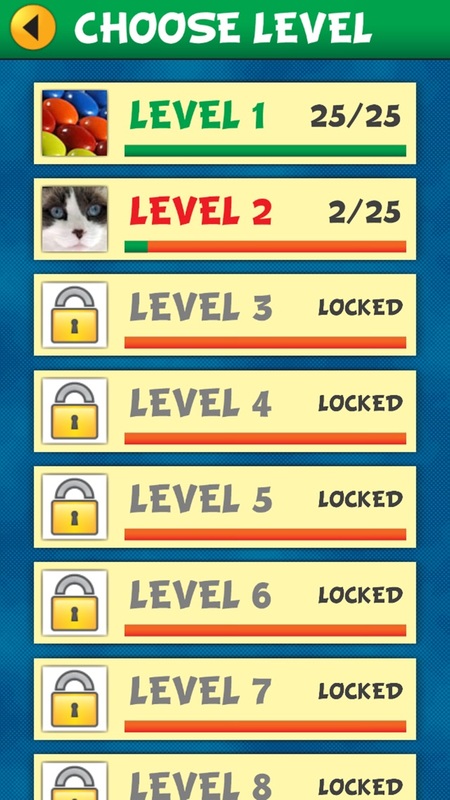 Finish levels with all 3 stars to unlock even more awesomeness! Built on whole milk and good clean livin’, this game and all DP videos are fun for the whole family! 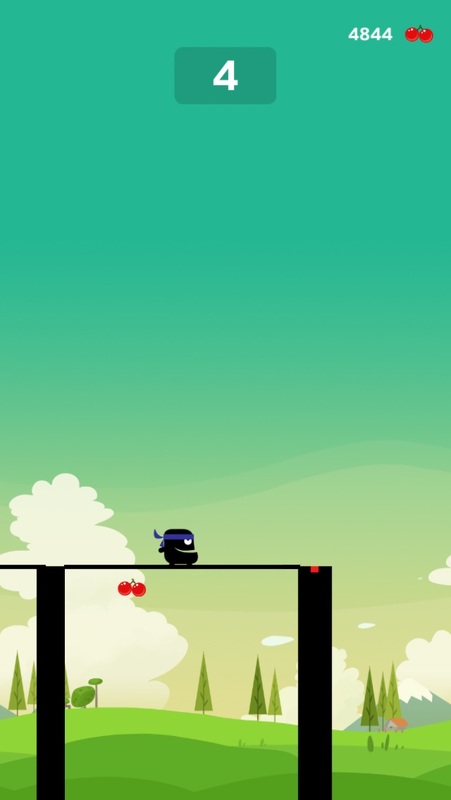 • 199 sweet levels from different worlds (with more coming soon)! 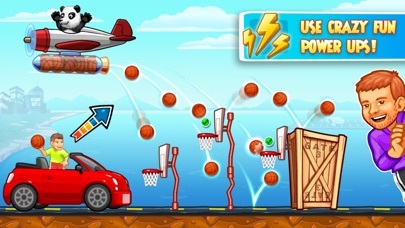 • Play as the Dude Perfect crew in never before seen shots! • Watch Dude Perfect’s newest videos right in the app! • Fun for the whole family! Here at Dude Perfect we make videos and apps that make people smile! Thank you guys for making Dude Perfect the #1 independent Sports Channel on YouTube (5 Million Subscribers) and the #1 YouTube sports page on Facebook (12 million fans)! We’ve been working hard on this game for over a year, and we know you’re going to love it as much as we do!! Y’all rock! The amazing game of Farkle Dice Game Casino 10,000! as Featured on http://FreeBeeApps.com & http://thisappisawesome.com !!!! The #1 Farkle & Dice Game in the App Store! WORLD WIDE MULTI-PLAYER! Apple Featured as WHATS HOT! and NEW AND NOTEWORTHY! SUPER CUSTOM SCORING , FARKLE REDUCER and PIGGY BACKING! In sparkling HD! WORLD WIDE MULTIPLAYER via GAME CENTER! Hi, Im Rob. and Im a Farkle ADDICT! This is my game, this is YOUR ...More	game, this is OUR game! Farkle Addicts UNITE! Farkle is a Crazy dice game of luck and GUTS! its played all over the world, and has as many rule variations as fish in the sea. 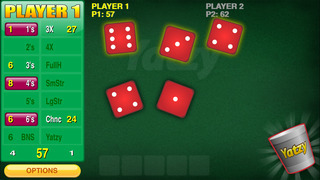 Each player begins by throwing 6 dice. They build up "hands", such as 3 of a kind, straights, etc, and score. If you score NOTHING on that throw, you "FARKLE", and lose all your points for that round. 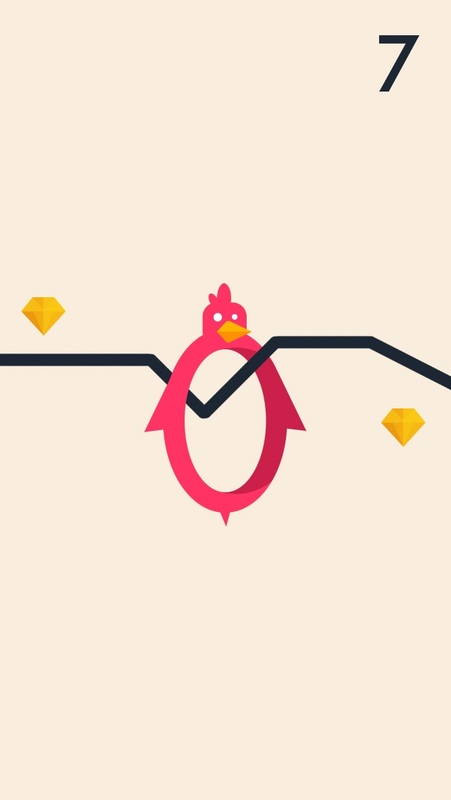 The player can keep throwing until they chicken out or FARKLE. Play goes to the next person, and they test their GUTS. First player to 10000 or above wins. goto http://robertsuh.com for How To Videos! If you are into dice games like Yahtzee, Craps, Farkel,Zonk, Zilch, Hot Dice, Buzzball, Squelch, Greed, then this game is what you are looking for! o Universal App & HD Retina! o Super GFX, Sounds and Anims! o Support for up to 8 Players, Human & CPU! o Pass 'n Play - Up to 8 Players! o CPU speed from super slow, to super sonic Fast! o HINTS - the Dice will glow Yellow, if you can score on them! Great for beginners! Glowing Hints can be turned off too! o Casino Grade Shuffle Engine - We researched Random Number Generators used in Casinos, and passed by the Nevada Gaming Commission. If its good enough for the NGC, its good enough for us! 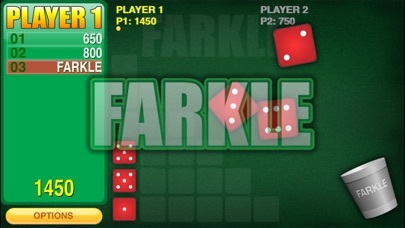 Are you a FARKLE ADDICT? DONT get help, CUSTOMIZE! Yes, I know! Everyone plays differently! And we have nearly every single rule under the stars! And each of them completely CONFIGURABLE! o Minimum Start Score - Set the bank out score from 0 to 1000. Either for just ROUND 1 or All the other Rounds! o Play to Score - play to 1000 all the way to 10,000! o 4 of a Kind, 5 of a Kind, 6 of a Kind - Enable or disable them all individually! Even change the points on all them individually! o CUSTOM SCORING! - We support the ADD, DOUBLING system and even FIXED points! o Large Straights - 1-6! a staple in any good Farkle rule set! o THREE PAIRS - Yes, sireee! o TWO TRIPLETS - Love it! o FOUR of a KIND + PAIR = Got em all! o The much debated THREE ONES! - A 1000 points? or 300? customizable! YES YOU CAN! o FARKLE REDUCER - A slider to reduce the amount of Farkles in the game! Turn it off too! o PIGGY BACKING!!!! - YES! If you never played with the PIGGY BACK option, WOW! Changes the game! Turn it OFF, Make it OPTIONAL per TURN, or FORCE it ON for everyone! o forced Rerolling - if you score on all 6 dice, you are forced to reroll..turn it off, if you dont like it. 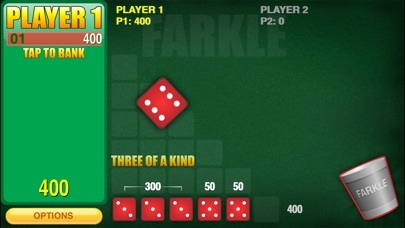 http://robertsuh.com for more games, how to Play Farkle, and Farkle RULES! DAILY FREE IPHONE and IPAD Apps at http://FreeBeeApps.com ! Stay on the platforms and do as many jumps as you can. 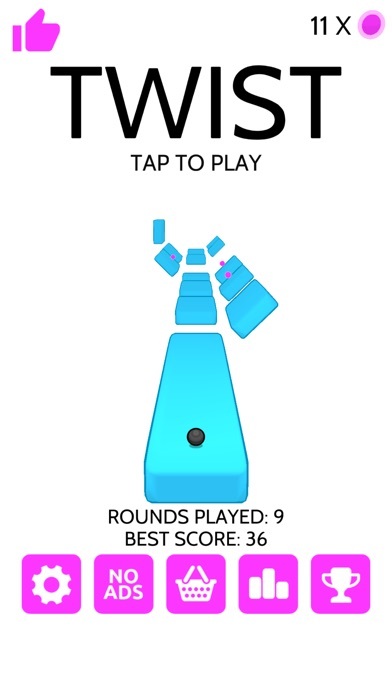 Just tap the screen to jump and twist the platforms. Try not to fall off the edges! Collect gems to unlock new balls and platform colors. 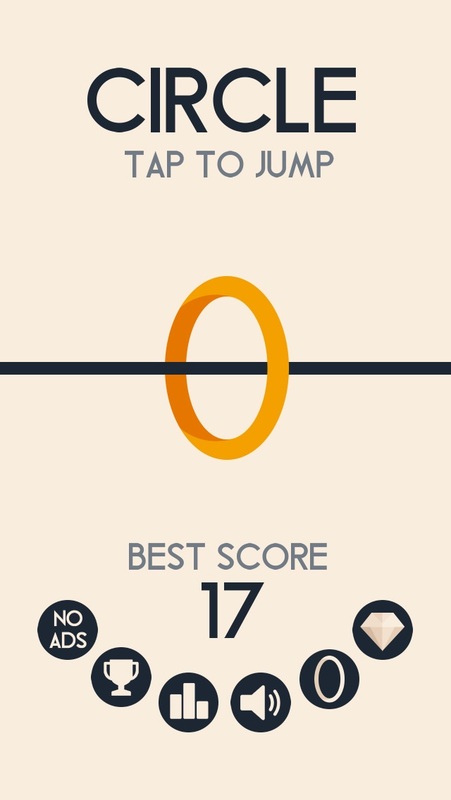 What is your best score ? game, this is OUR game! Farkle Addicts UNITE! Yatzy Addict! If you are a TRUE LOVER of Yatzy, this is your game! as Featured on http://freeBeeApps.com !!! Yatzy Addict is the famous poker dice game, played all around the world! WORLD WIDE NETWORK MULTIPLAYER IS LIVE! You get 13 rounds, with 3 rolls each round to create POKER HANDS, such as 3 of a kind, 4 of a kind, straights, etc. There are 13 scoring categories, which can only be scored ONCE per game! this is what makes the ...More	game so challenging! How to maximize your points! if i missed your custom scoring home town ruleset, email me! ill add it! HOW TO SCORE MULTIPLE YATZY's! Some people are confused on how to score multiple YATZY's! heres how! If you get another YATZY, you MUST select an empty score slot. You get the score for the score slot, PLUS 100 extra points for your extra Yatzy! I understand that some of you play a bit differently! Im going to add that way too!! Be sure to email me, so i can get ALL your custom rule sets in for the next update! 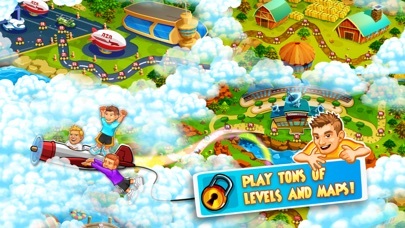 goto http://robertsuh.com for more info on playing this fabulous game! All my games are SUPER FEATURE Rich and COMPLETELY CUSTOMIZABLE! * HD retina and full size IPAD graphic support! * awesome sounds, and graphics! * just awesome FAST FUN! * Computer speed from SUPER slow to SUPER SONIC FAST! Yatzy Addict is FULLY CUSTOMIZABLE. * enable multiple 5 of a Kind Yatzys! or turn them off! * small straights.. 4 or 5 dice? YOUR CHOICE! and choose the scoring! * or do you like 1-5 vs 2-6? again, YOUR CHOICE! 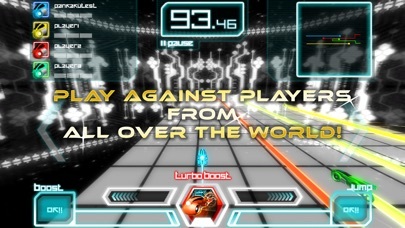 * pass N play up to 8 players, both human and computer. * World Wide Network Multiplayer - Play against friends and strangers ALL OVER THE WORLD! If you enjoy dice games, be sure to check out our WORLD FAMOUS Farkle Addict! 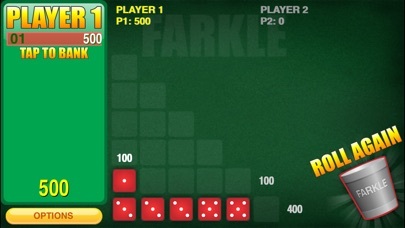 Play Farkle dice with people ALL around the world, head to head, in real-time. i read and reply to ALL emails, usually with in 5 minutes. I strive for "KNOCK YOUR SOCKS OFF" support! Ask my Farkle Addict players! i support my players 110%!!!! http://robertsuh.com for more games, how to play YATZY, and RULES! DAILY FREE IPHONE and IPAD games at http://FreeBeeApps.com ! These famous celebrities need a fresh shave and makeover... Can you help them out?! 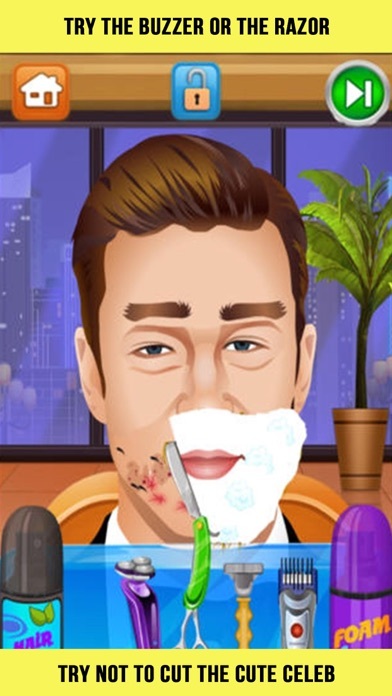 Give them a clean shave, cut their beard, and have fun in the Celebrity face salon!! game so challenging! How to maximize your points! Stretch the stick in order to reach and walk on the platforms. Watch out! If the stick is not long enough, you will fall down! How far can you go? game so challenging! How to maximize your points! 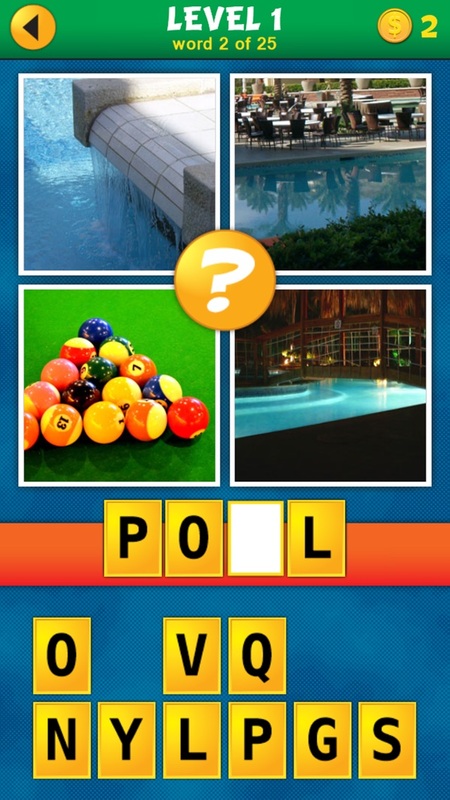 4 Pics 1 Word Puzzle: What's That Word? Look at 4 pictures and guess what word they represent. This sounds easy, but some puzzles can be tricky! If you like quiz and word games, you'll enjoy this fantastic brain teaser. This addictive word puzzle game comes with a twist: the pictures are revealed one by one. 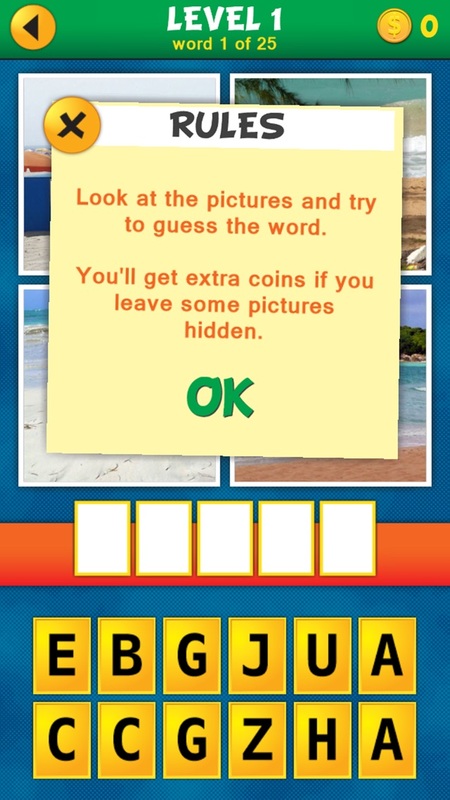 Guess the word with less pics open and earn extra coins! Can you guess all words and unlock all levels?